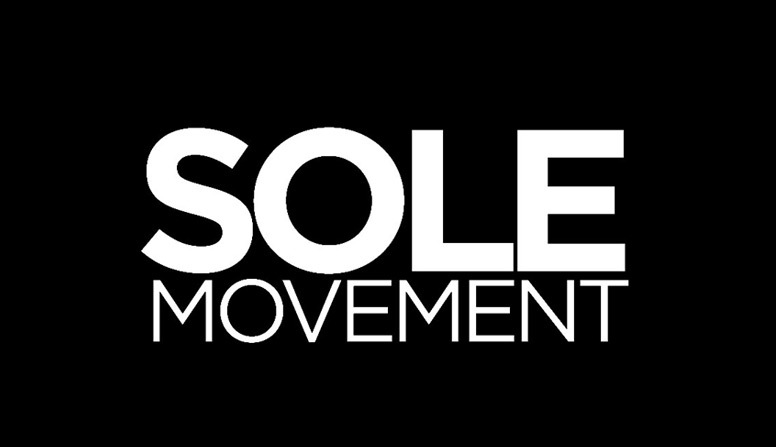 When sneaker brands partner up with Japanese brands or retailers, expect to get quality products. 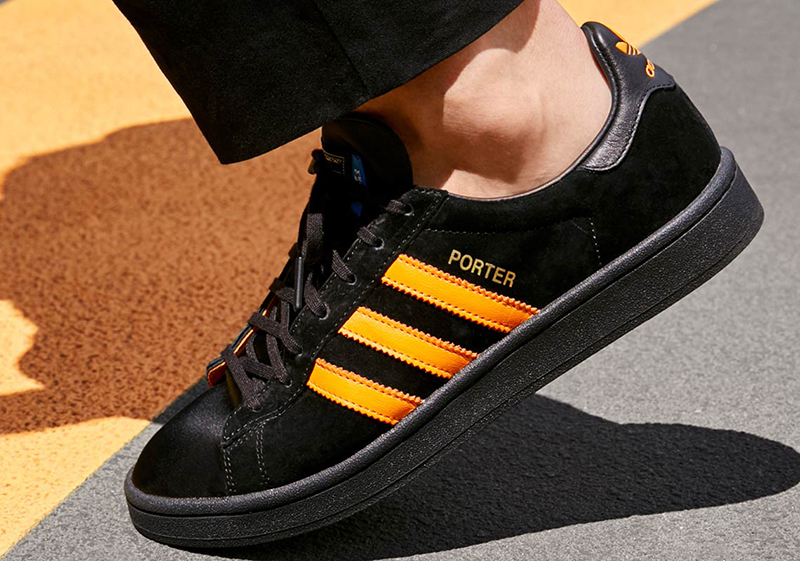 adidas Originals got together with iconic Japanese luggage brand PORTER for a new collection of footwear and accessories. 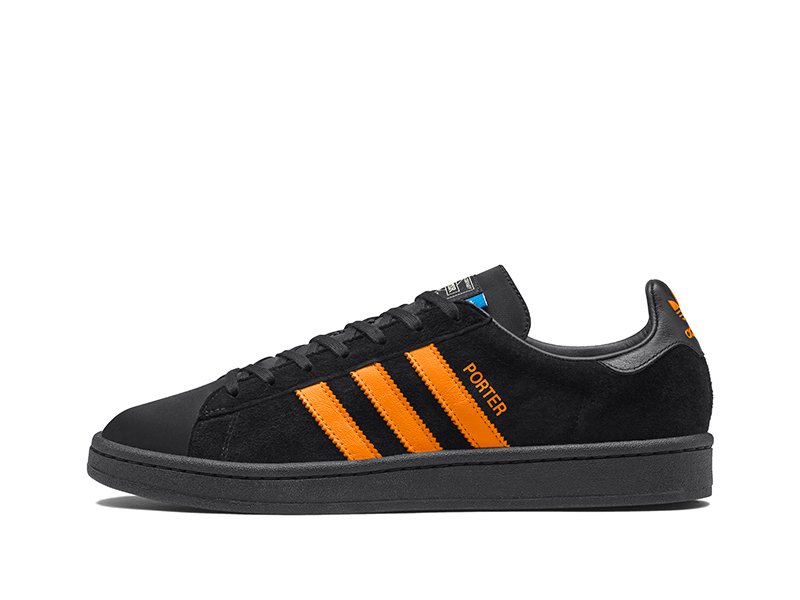 PORTER, a product of Yoshida & Co., has been around since 1962 and known for their glossy nylon padded fabric with orange lining. 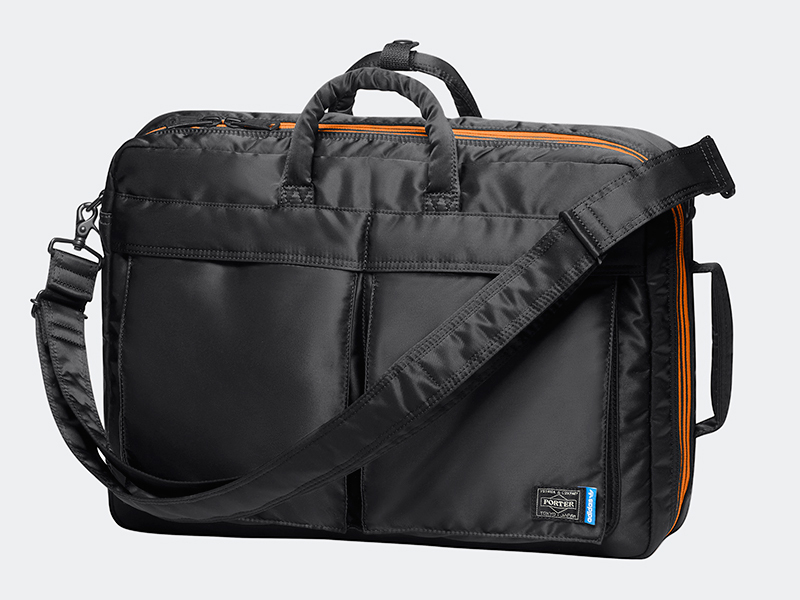 This season, we’re getting a Campus as well as the 3Way Brief Case and the 2Way Boston Bag. 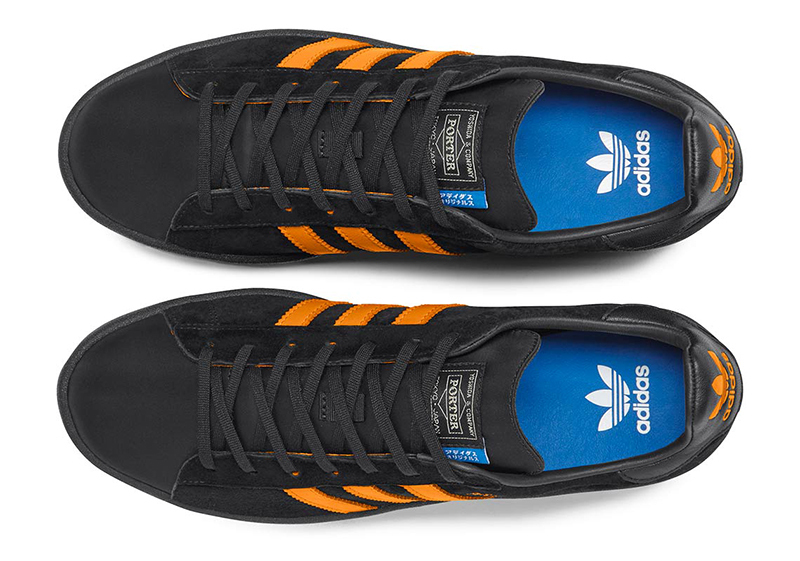 The Campus features premium nubuck across the quarter, countered with a toebox and tongue in PORTER’s best selling signature “TANKER” textile. 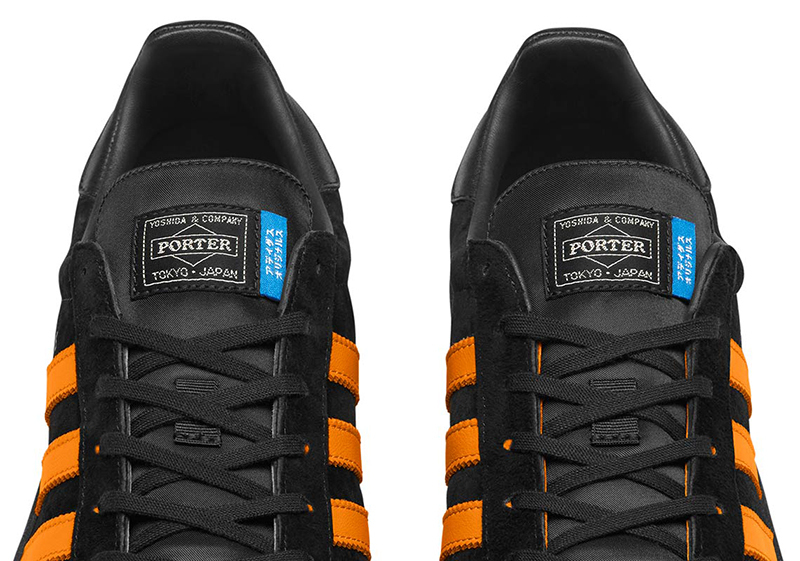 PORTER’s logo is stitched on the tongue coupled with adidas Originals written in Japanese. 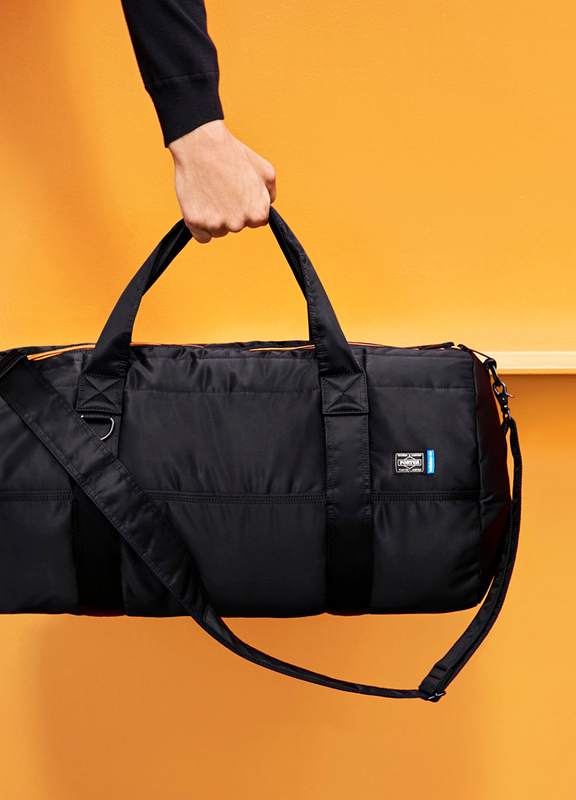 No PORTER collection is complete without these two classic PORTER bag designs – the 3Way Brief Case and the 2Way Boston Bag. 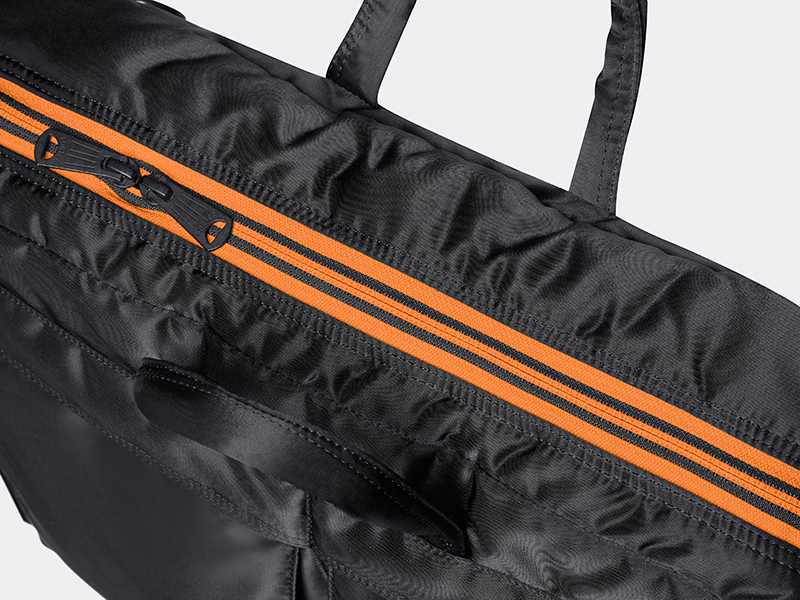 adidas didn’t do anything crazy but added some minor details to the bags’ designs. 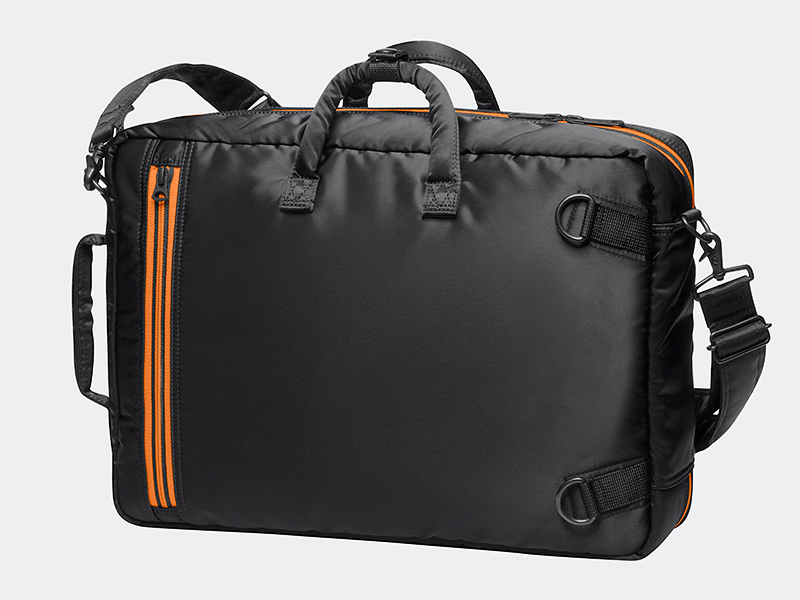 The 3Way Brief Case comes with removable exterior straps that can transform the bag into either a brief case, shoulder bag, or backpack. 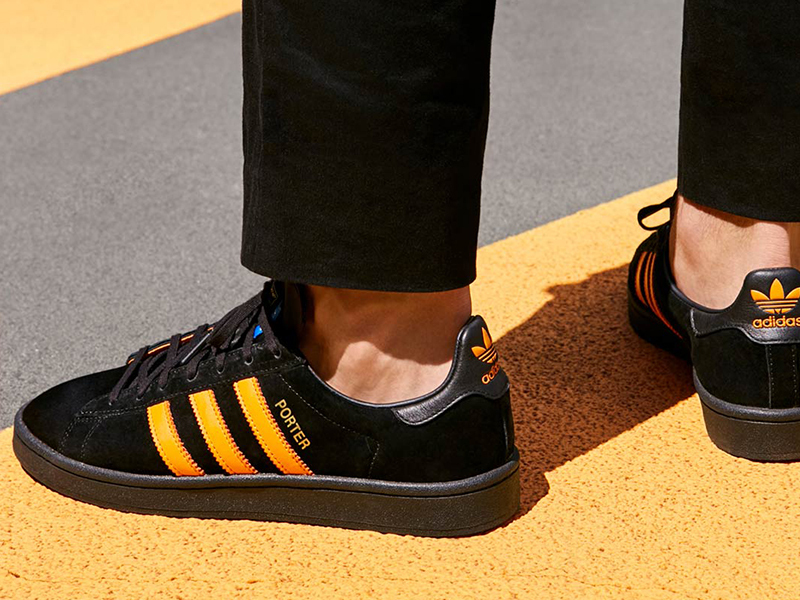 The notable difference seen here is that instead of the brand’s iconic orange for its lining, the bags have adidas blue. 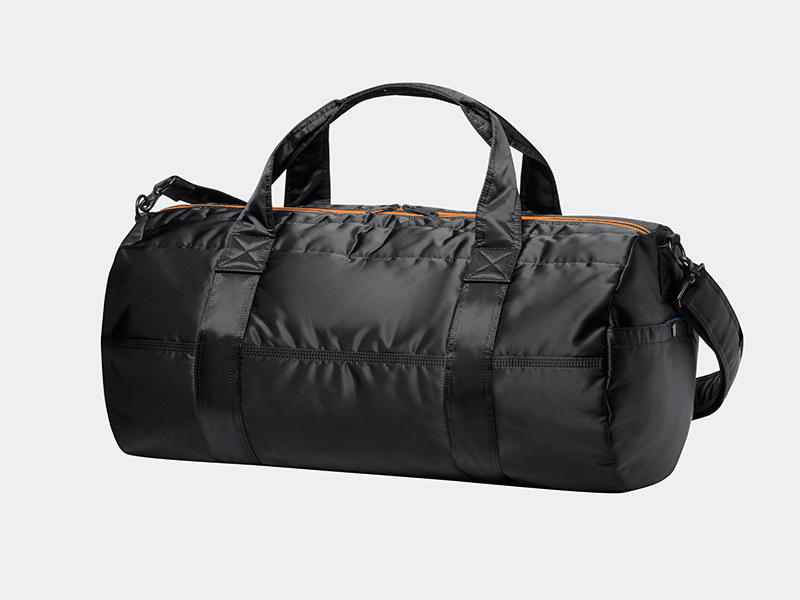 As for the 2Way Boston Bag, the bag has heavy-duty handles and a removable shoulder strap. 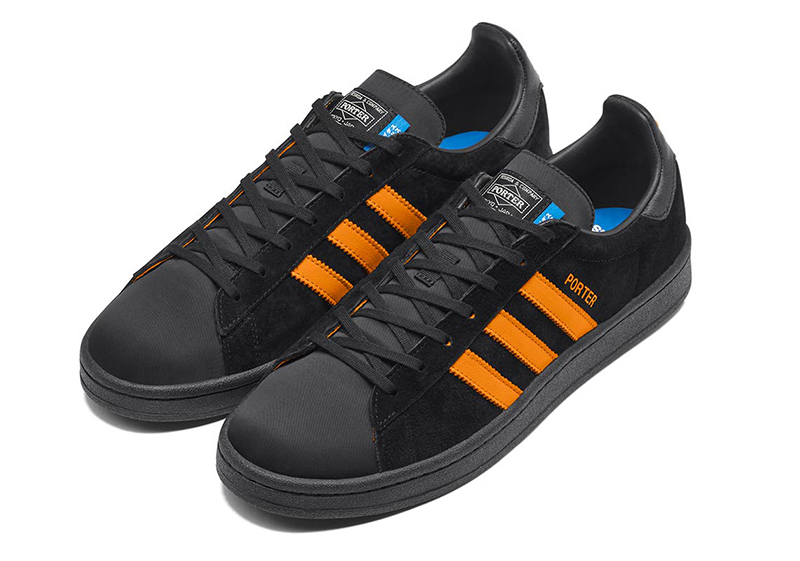 There are pockets in the interior for item/accessory storage, finished with adidas Blue lining and contrast 3-stripes zipper tape in PORTER orange. 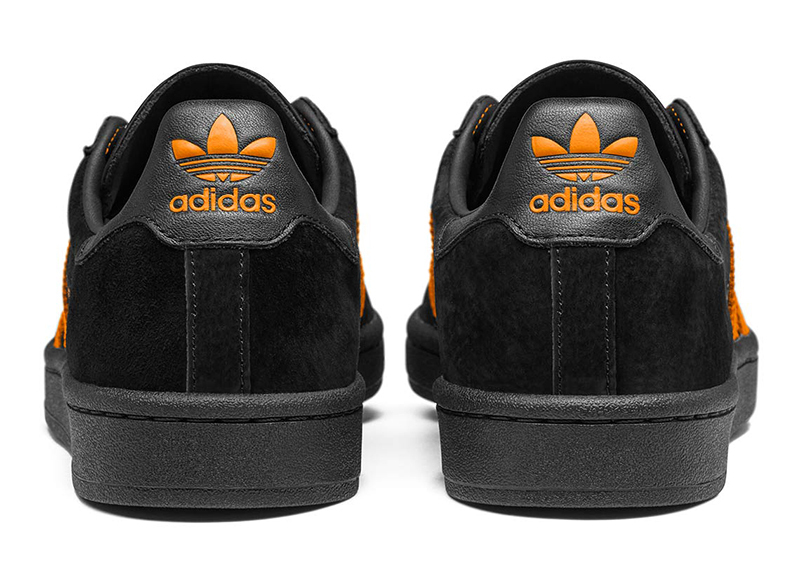 The PORTER by adidas Originals Collection will be available tomorrow, May 3rd, exclusively at Commonwealth (Greenbelt 5).